As the excitement builds ahead of the final of the Asian Football Confederation Under-23 Championship, all eyes are on the two title contenders, Vietnam and Uzbekistan. Neither team has ever made it beyond the group stage of the biennial championship prior to this year. Previous winners include Japan in 2016, who lost 4-0 in this year’s quarterfinals to Uzbekistan, and Iraq in 2013 (when it was the AFC U22 Cup), who lost in the quarterfinals on penalties (5-3) to none other than Vietnam. This year, both finalists lost a match in the group stage. 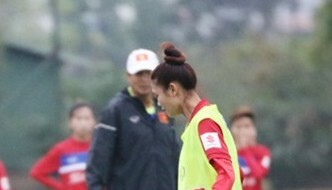 Vietnam lost 2-1 to South Korea, but the Koreans were subsequently defeated by Uzbekistan in the semis, while Uzbekistan lost to Qatar 1-0, who then lost to Vietnam… also in the semis. As for goal stats, Uzbekistan has so far fared better than the more defensively minded Vietnam. Vietnam Uzbekistan Goals scored 7 10 Goals conceded 7 2 Top goalscorer Nguyen Quang Hai (4 goals) Jasurbek Yakhshiboev (3 goals) Formation … [Read more...] about Vietnam vs Uzbekistan in U23 Asian Cup final: Who do you think will win?